How to check the EHP of Portal and ECC. 604 then ECC 6 with Ehp4. 605 then ECC 6 with Ehp5. 606 then ECC 6 with Eh6. It is very easy to found out on your own. 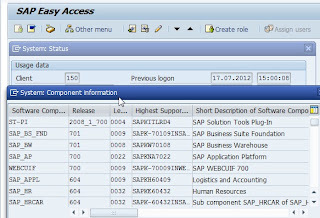 Let me explain the first, For every sap installation we need basic of three components. They are SAP_BASIS,SAP_ABA,SAP_BW. The version of these component decides your sap Version. Similarly if you install the component as SRM the system turns to SRM server not ECC. In this case you see its 7.0 SP29, patch level 0. Clicking on "all components" , you would see all components SP's and patch level. then select your instance Id (00 for instance), then switch to Components Tab. This is for instance 7.30 SP10. For the EHP Version/Package you can find it as follow. 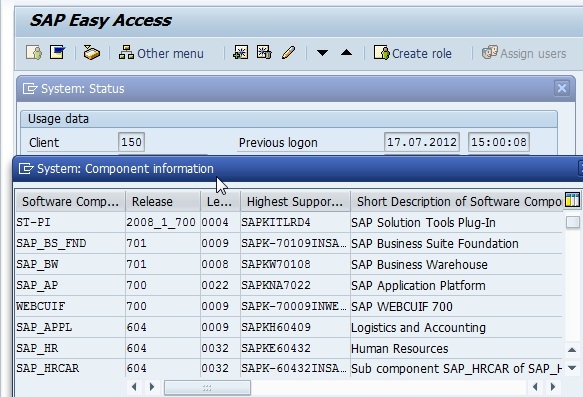 In that you will find SAP System data Block and in that Component Version . There you can find the Enhancement Package Version. For Ex: Component Version: EHP 6 for SAP ERP.